This package includes Hardcover and Paperback. 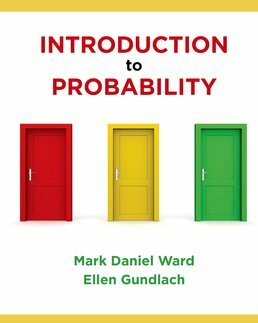 For a broader introductory-level audience, Introduction to Probability utilizes a conversational style to help students understand the basics of probability theory and its broad applications. Through a highly visual approach, practical examples, and step-by-step problem solving procedures your confidence will get a boost when it comes to math. 21.1 Summing up: How do you tell all these random variables apart? 35.4 Summary: How to Distinguish a \Forward" Versus \Backwards" Normal Problem? 38.1 Summing up: How do you tell all these random variables apart? 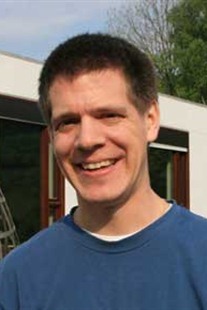 Mark Daniel Ward is an Associate Professor of Statistics at Purdue University. He has held visiting faculty positions at The George Washington University, the University of Maryland, the University of Paris 13, and a lecturer position at the University of Pennsylvania. He received his Ph.D. from Purdue University in Mathematics with Specialization in Computational Science (2005), M.S. in Applied Mathematics Science from the University of Wisconsin, Madison (2003), and B.S. in Mathematics and Computer Science from Denison University (1999). His research interests include probabilistic, combinatorial, and analytic techniques for the analysis of algorithms and data structures. Since 2008, he has been the Undergraduate Chair in Statistics at Purdue, and the Associate Director for Actuarial Science. Dr. Ward is currently the Principal Investigator for the NSF grant "MCTP: Sophomore Transitions: Bridges into a Statistics Major and Big Data Research Experiences via Learning Communities" (NSF-DMS #1246818, 2013-2018). He is also an Associate Director of the Center for Science of Information (NSF-CCF #0939370, 2010-2015). 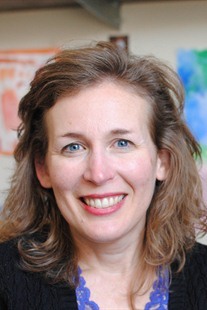 Ellen Gundlach has been teaching introductory statistics and probability classes at Purdue University as a continuing lecturer since 2002, with prior experience teaching mathematics or chemistry classes at Purdue, Ivy Tech Community College of Indiana, The Ohio State University, and Florida State University. She is an associate editor of CAUSEweb and editor of the MERLOT Statistics Board. Her research interests include K12 outreach activities (ASA’s first Hands-on Statistics Activity grand prize winner in 2010), online and hybrid teaching (Indiana Council for Continuing Education’s Course of the Year award in 2011), T.A. training, academic misconduct, statistical literacy, and using social media in statistics courses. She enjoys spending time with her sons Philip and Callum, playing the flute with several local groups, and supporting (and formerly skating with) the Lafayette Brawlin’ Dolls roller derby team.